As Chief Operating Officer for Ship & Shore Environmental Inc., Vij will oversee Sales, Finance, Engineering, Project Management, Procurement, Production and Service groups along with providing leadership for Business Development in existing and new markets for Ship & Shore Environmental Inc.
Anu D. Vij is a seasoned Global operations & technical leader with over two decades of experience in the environmental, chemical, petrochemical, and air pollution control industries. He is deeply experienced in a full range of process and mechanical systems, and has specific expertise in thermal oxidation technologies. Prior to joining Ship & Shore, Anu D. Vij served as Vice President – Enclosed Combustion Systems at AEREON. He oversaw Business Development, Sales & Execution for Enclosed combustion systems which comprises Thermal Oxidizers, Incinerators, Vapor Combustors, High Temperature Flare and low NOx CEB® combustion systems. 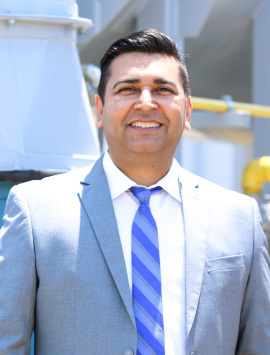 Prior to joining AEREON, Vij was Director of Engineering and Thermal Oxidizer Expert at OnQuest Inc. (part of Primoris Services Corporation), a company specializing in engineering and design of Fired heaters and small LNG Process Plants. Prior to OnQuest, Vij was Director of Operations at Pro-Environmental Inc. from 2007 to 2009, where he headed thermal oxidation and environmental engineering projects. Vij started his career with Smith Engineering Company in 1994 as a Process engineer and eventually as a Project Manager working on various Regenerative Thermal Oxidizer (RTOs) projects across various manufacturing industries. 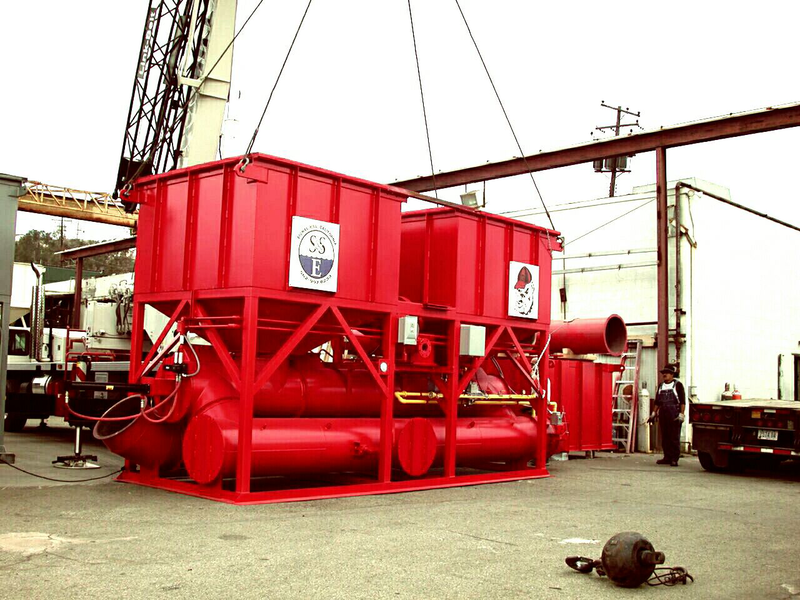 He started his own company ADV Engineering Inc. in 2001 providing air pollution control and combustion consultancy to clients across various manufacturing industries and specifically focusing on oil and gas industries. Vij holds a M.S. in chemical engineering from the University of Southern California (1994) and a B.S. in chemical engineering from Panjab University in India (1991). He holds a Certificate in Effective Management from California State University, Fullerton and the Certificate for Engineer-in-Training from the State of California.